For all practical purpose, there is no purple squirrel, not in nature and not in the job market. For those who don’t know what purple squirrel is; Purple Squirrel is a term used for an extraordinary candidate, with exactly the right qualifications and experience. It is a metaphor used by recruiters to identify the unrealistic expectations of a client company. 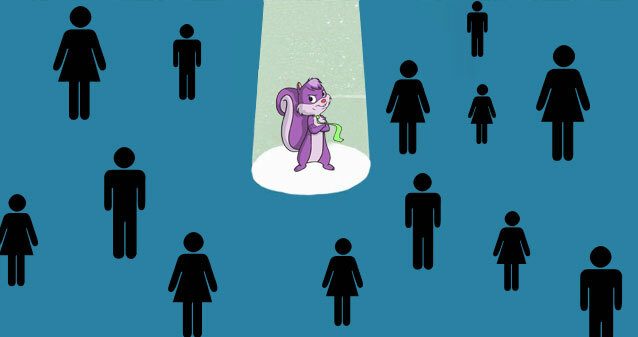 So now you must be thinking, “where the hell should I bring purple squirrels from to satisfy the client?” And sometimes, if you think you are successful in finding a purple squirrel, even your purple squirrel can be just another disqualified candidate to the client company. What if I say you can find a purple squirrel? Let me tell you how? Using pre-employment skills testing you can surely find a purple squirrel. Pre-employment skills testing software enables the recruiter or hiring manager to evaluate the candidates’ behavioral aptitude and core abilities, helping to determine if they are a good fit for the position and their company. Pre-employment testing is not new. Such assessments date back to the 90s. With today’s technological models and computing power, companies can obtain inexpensive, effective, and customized assessments that measure everything from technical and communication skills, to personality traits. Making poor decisions of hiring can be very costly. Hiring managers are responsible for bringing on employees who will make their team better. Today, employers are not just hiring on their gut feeling, though it comes from experience but have become more particular about the candidates being domain experts. Utilization of pre-employment assessment is growing. However, employers are using pre-employment assessments as a part of smart and accurate hiring process. Employers can save time and money in the screening, ultimately finding people with a strong fit for the job. Online pre-employment testing can eliminate up to 50% of unqualified applicants easily and on the spot. Pre-employment testing reduces unnecessary elements in the hiring process. This will ultimately increase the productivity of your HR department. Pre-Employment testing can help you ask the right questions at the time of interview and find your next great employee. Hiring a purple squirrel is a challenging process which demands significant inputs from the employer. Pre-employment testing software is a significant input that will reap the benefits. Pre-employment assessments could benefit your company whether you’re a large or small employer. Hiring right has long been known as a key element of successful businesses. Does your company use pre-employment testing software? And if you have still not implemented pre-employment assessment in your recruitment process you should it right away. Interview Mocha is here to help you find that purple squirrel.